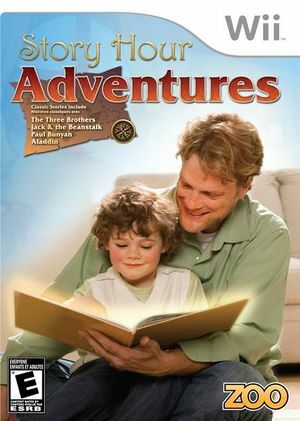 Story Hour: Adventures is a collection of classic public domain children's stories retold and recreated on the Wii. In the same way a parent will sit with their child and read any number of classic fairy tale books, members of a family can sit in front of their television and read traditional fantasy tales with their child in an updated interactive format. The graph below charts the compatibility with Story Hour: Adventures since Dolphin's 2.0 release, listing revisions only where a compatibility change occurred. This page was last edited on 13 January 2018, at 14:06.